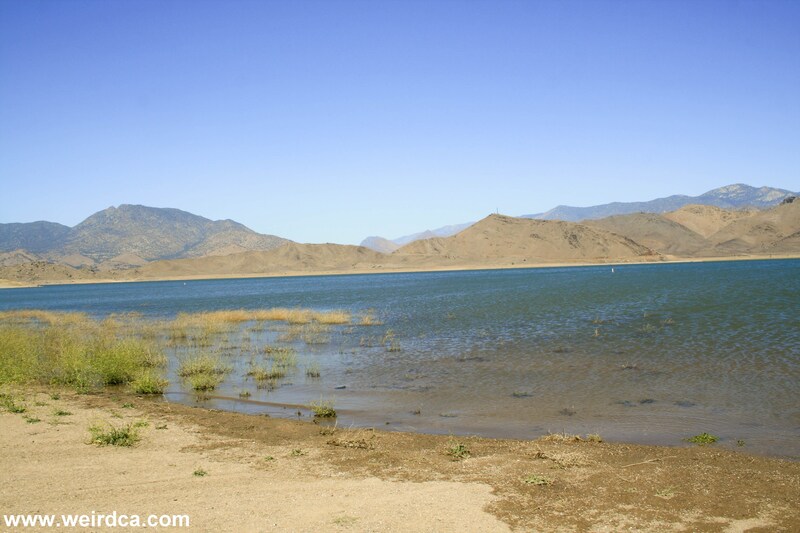 Now under the waters of Lake Isabella, the town of Whiskey Flat started off in 1858 as Rogersville, named after the man who first found gold in the area. Lovely Rogers had a fight with his mule, and picked up a heavy stone to throw at it as it ran away. As he did, he noticed the glint of gold and realized that he had a 42 ounce gold nugget. Thus Big Blue Mine was born. The town's name was soon changed to Williamsburg and then to Whiskey Flat when the first saloon opened in what was previously a dry town. 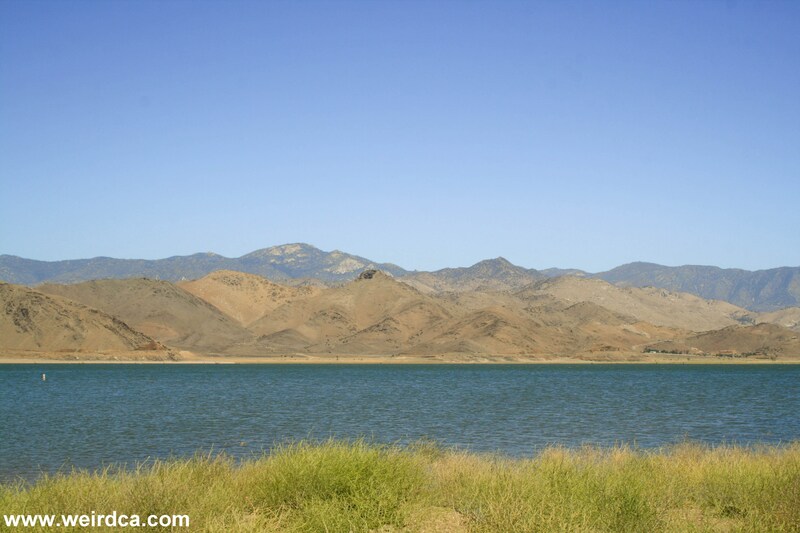 The name stuck around until 1864 when it was renamed Kernville. 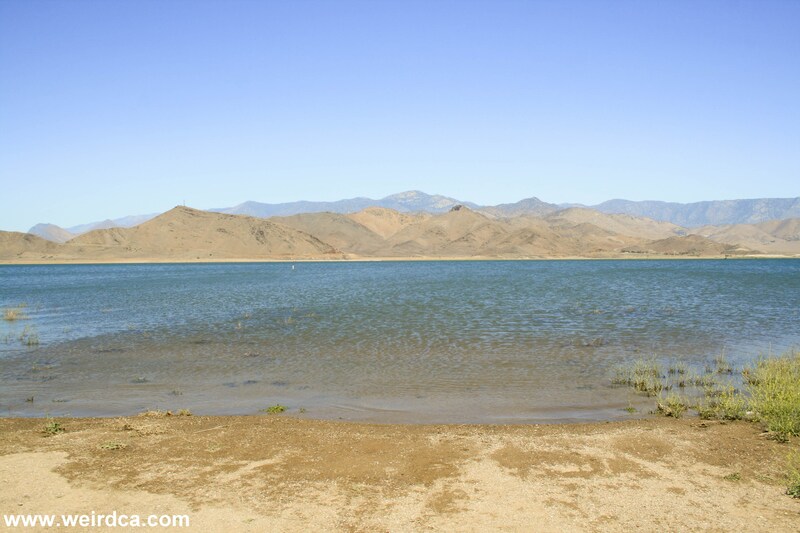 In 1954 Kernville moved when Lake Isabella was formed, although several buildings including the jail, general store, schoolhouse, and a Methodist church were dynamited instead of being moved. The town still celebrates its wild west days with an annual celebration called Whiskey Flat Days held on President's Day weekend consisting of a rodeo, a parade, wild west shootouts, etc. A few months after, five Chinese men showed up in town. They mostly stayed to themselves, didn't look for work, and had plenty of money with them to spend. These five Chinese were part of a Tong from San Francisco and had come for retribution on those who had strung Wong up. No one would speak to them about the incident, and the Tong had no way of knowing who had actually been involved in the hanging. But, never the less, one by one, the five loggers disappeared. In some cases their families still remained, and they didn't move; they just disappeared. To this day, no bodies have ever been found, nor any grave. When the last of the five loggers disappeared, the five Chinese Tong members quietly left town.